If you’ve been researching how to create a more sustainable lifestyle, you probably started panicking about five articles in after you learned how much a grey water reclamation system costs. By the tenth article, panic became terror as you contemplated the many sacrifices required to achieve zero waste and you started to think that maybe living sustainably should be left to people with more time, money and fondness for granola. But here’s the thing: You don’t have to go completely green to make impactful, eco-friendly changes to your lifestyle. 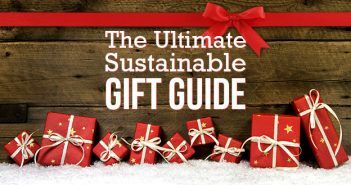 We’ve rounded up six examples of sustainable practices that the average person can accomplish with minimal effort and without a major financial investment. Start your journey toward a more sustainable lifestyle by switching out your current lightbulbs for energy-efficient CFL or LED versions. Yes, this will mean paying a little more to purchase the new bulbs, but you’ll quickly be paid back by the reduction in your energy bill. The average energy-efficient bulb uses less than $1.50 of electricity per year and will last at least a decade. This is an extremely simple example of real-life sustainability, yet it’s one of the most effective. If every U.S. home switched just one light fixture to energy-efficient bulbs, we could reduce our greenhouse gas emissions by 9 billion pounds. Want to conserve water? Then start running your dishwasher more. Many people assume that living sustainably must mean washing dishes by hand, but this couldn’t be further from the truth. The average dishwasher uses 6 gallons of water per cycle. Energy Star-rated machines average about 4 gallons. Meanwhile, the average faucet produces 2 gallons of water per minute. So, unless you can wash and rinse a full stack of dirty dishes in less than three minutes, running your dishwasher is by far the greener option. Just be sure to wait until the dishwasher is full. 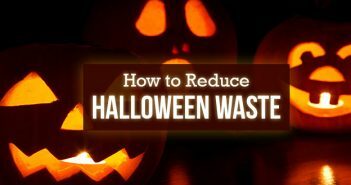 For the lazybones among us, this is a great example of a sustainable practice that actually saves you time and effort. While doing laundry, always use the cold setting on your washing machine. According to Energy Star, nearly 90 percent of the energy used while running a washing machine goes toward heating the water. This means that a simple twist of a knob can help you conserve a huge amount of energy. Your ice-cold washing habits will also make your clothes last longer, since cold water helps clothes retain their color, size and shape better than warm water. Just be aware that some powder detergents don’t work well in cold water and that oily stains should still be washed in warm water. When planning your summer landscaping, focus on incorporating plants native to your area. 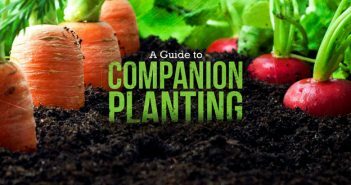 These plants will require less care than other options because they’re primed to grow in your specific climate and soil type. Because of this, they’re often cheaper than non-native species. As for their contribution to your sustainable lifestyle, native plants provide food and habitat for local insects and wildlife, and require less water to thrive. Bringing a mug to use for coffee at work rather than the paper cups provided. Buying lunchboxes rather than relying on paper bags. Using dish cloths or rags to clean up messes instead of paper towels or wipes. Bringing reusable grocery bags to the store rather than taking plastic bags home. Refilling a reusable water bottle instead of purchasing single-use bottled water. Sure, there are people out there who will evangelize about cloth diapers and insist that using old-fashioned hankies instead of tissues is no big deal. But you don’t need to take things any further than your own comfort level to significantly impact the amount of waste your household produces. One of the simplest things you can do to live more sustainably is to remove your name from the mailing lists responsible for stuffing your mailbox with junk every week. You can accomplish this in just a few minutes by visiting DMAChoice.org, and completing their online registration. Once registered, you can choose to stop all mailings from companies you’ve never purchased from or donated to. Just be aware that there is a $2 processing fee. Also note that it may take up to 90 days to stop receiving junk mail, since some mailings might already have been prepared before you registered. Adopting a more sustainable lifestyle doesn’t have to be an uphill battle against the concept of convenience. These examples of real-life sustainability prove that “going green” can be as simple as making a few practical, inexpensive changes to your everyday routine. So breathe easy and start living sustainably on your own terms. Check out the Green Living section of our blog for more tips on making a positive impact on your environment. Thanks for this! I didn’t know about the DMAChoice until I read your article and just signed up. Appreciate the tips.